Earlier this week as I was preparing to binge watch one of my favorite Youtube channels, Pepper and Pine, a Waldorf inspired homeschooling mom, I stumbled upon this video, Homeschooling is not my identity, Tips, by the channel “Grace and Grit.” Her video about making homeschool become your identity made me realize something that I have been reminded of throughout this past school year – as much as I hate to say it- I live and breathe homeschool. Homeschooling has become another child for me. I put aside my personal and professional goals for the year due to lack of “time” so that I could research and plan our homeschool year. We really never implemented most of the ideas or activities that I found but that time spent researching and planning felt like I was fulfilling something and it felt rewarding at the same time. Sometimes, I feel like homeschooling has turned into this big competition to see whose child is the best or how well our days went. I blame social media like Pinterest and Instagram for this – though I do feel it can have a plus side. As a homeschooling mom (I imagine I’m not the only one), I am constantly watching out for new ideas to we see what other people are doing, thank you Pinterest. When we find new ideas or activities we try to add them to our already full day, thinking that if so and so can do it so can I. But this isn’t always the case, because maybe that person doesn’t have three little kids under the age of 5 or they don’t have as many other hats to wear as we do. We have to remind ourselves that our situations are all different. Moms have multiple hats no matter if they are homeschooling or not. There is this constant need to take on more tasks than we are able to because that’s what was drilled into us or at least that’s what I feel like. Before I had kids, I had lots of hobbies. I found it easier to get outside and walk around or pull out a book without having someone ask me for water every 5 minutes. I could spend hours sewing a new duvet cover or trying out and tweaking a new baked good recipe. I didn’t even think about homeschooling my kids before my kids ( I thought those homeschooling moms were crazy), where as now I am considered the crazy homeschooling mom in my area. When I became a homeschooling mom, all my hobbies slowly seemed to fade away because I could no longer dedicate time to them. Homeschooling became like a job or another child. I felt like I was missing out on something if I wasn’t constantly checking up on other moms. Homeschooling became my obsession and as with any obsession – you get that high – but then you get that low or burnout. So then I would also try to budget “my time” so that I could spend more time on the computer figuring out why I felt the way I did and fix what wasn’t working. Often the question was left unanswered so I started getting frustrated and the frstrations would just lead to more burn out. It is my intention this year that I don’t allow homeschool to take over my life as much as it has in the past and to be open to new opportunities and unexpected situations. I am looking forward to take our time and to learn as much as we can along the way. 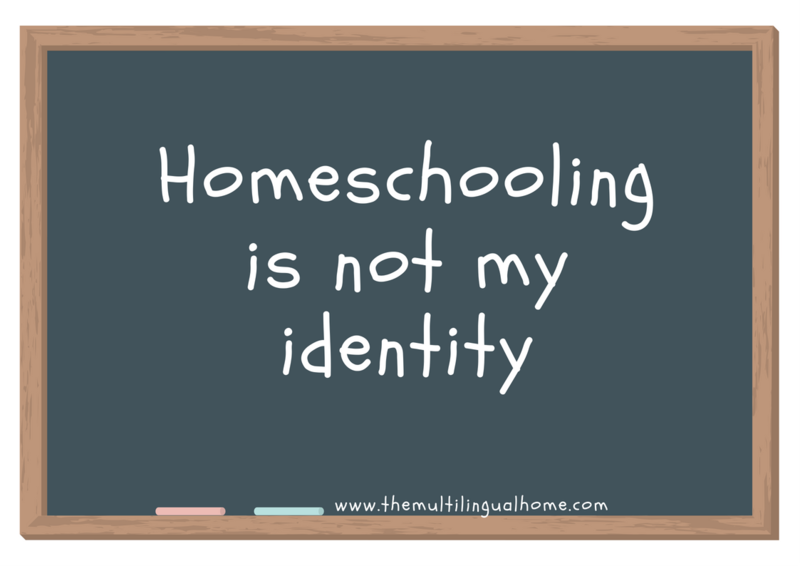 What are your thoughts on homeschooling is not my identity ? Are you in the same situation ? Great article mashaAllah. I think all homeschool moms have gone through this at one point. I myself have struggled with this, and have also written about my experiences too. 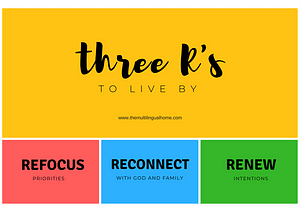 Love the three Rs! Thank you! I would love to read about your experiences too, could you send a link please ?